The Valley of Vision. By Peter F. Fisher. 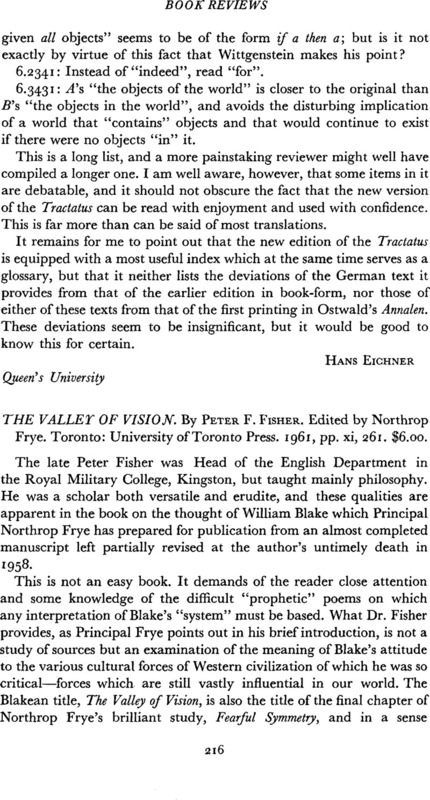 Edited by Northrop Frye. Toronto: University of Toronto Press. 1961, pp. xi, 261. $6.00.